Debbie turned some plain colored paper bags into super cute Halloween party favors. These Halloween treat bags would be a great activity for kids at your Halloween party. They can make their own bag and then fill it with Halloween treats before they head home. 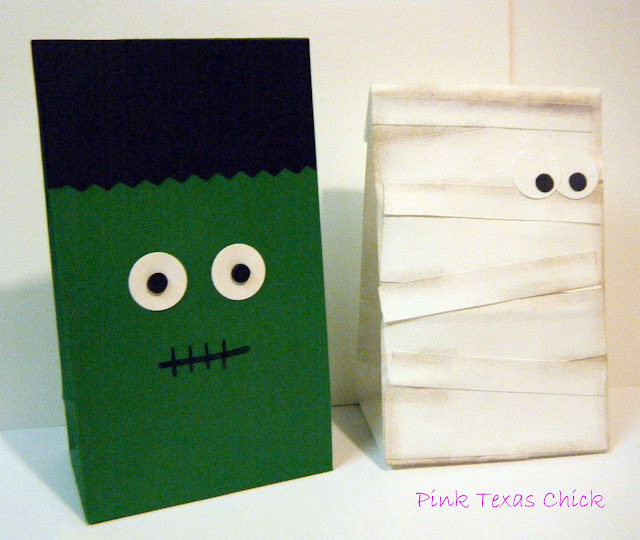 Find out how to make Halloween monster treat bags over at Pink Texas Chick. I REALLY Really like these!! !